Expats moving to Italy must take into account the shipment time of their belongings to well predict and plan the move. Future expats should be aware that sending containers to Italy will take an average of 20 days though this can be much longer if you are relocating from far away. Our site allows you to compare prices and services offered by providers in order to set up your move easier. Italy’s appeal is universal, and the inspiration to move to Italy is never just about a job. 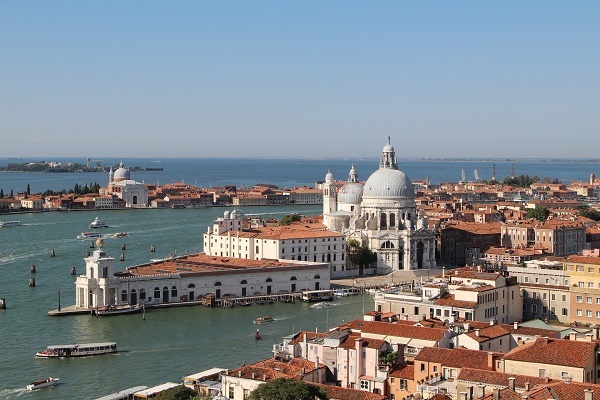 The reasons for wanting to expatriate to Italy may be different - the fine arts, the passionate language, the romantic poetry, the epic history or the excellent architecture, but one thing is for sure: Italy leaves everyone mesmerized. 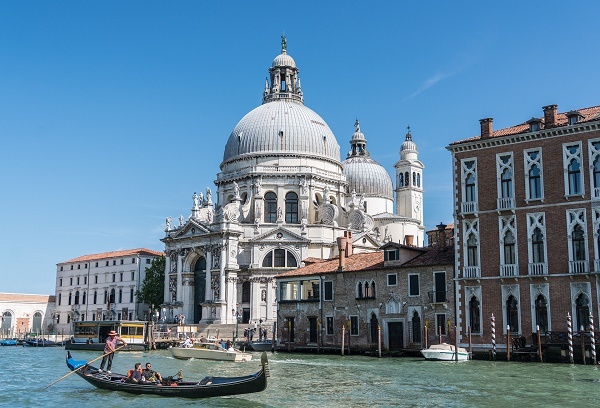 There's something for everyone in Italy: you can marvel at the masterpieces left by the Italian maestros Michelangelo, Raphael and Botticelli, find comfort in gelato and pizza as it is meant to be made, ride in a gondola, or admire Prada handbags. As of 2009, Italy is home to the greatest number of UNESCO World Heritage Sites, with forty-four venues. So, what's the drawback of moving to Italy? Two things: visa and work permit. With the influx of migrant workers seen by some as a threat to Italy's economic growth, Italy has implemented stricter rules. If you have citizenship from an EU country, you have the right to live and work in Italy. For non-EU residents, the Italian process is bureaucratic to obtain a visa. Acquiring a visa is a major hurdle in trying to stay or work in Italy. For those with dual citizenship like Italian American citizenship, there is no need to obtain a Permesso di Soggiorno (PdiS), the most important document for foreigners. All other nationalities need this document to reside legally in Italy. The Italian Ministry of Foreign Affairs (Ministerio Degli Affari Esteri) provides all pertinent information for all non-Italian citizens who wish to stay in Italy either long or short term. EU-citizens do not require a visa to enter Italy. Non-EU citizens, however, require a visa for any stay of longer than three months (90 days). It is advisable to check with the Italian Embassy in your home country for guidance. Italian law states that, "every foreigner in Italy is considered to be either a tourist or a resident." Tourists are foreigners staying for less than three months: business travelers, students enrolled in short courses, researchers and holidaymakers for example. In light of global terrorism threats, Italy has enforced that all non-residents from non-Schengen countries (including Canada and the United States) are required to complete a Declaration of Presence (Dichiarazione di Presenza). The Schengen Agreement abolished border controls between EU member countries and Switzerland, Norway, Iceland, and Liechtenstein. For those flying into Italy, the Declaration of Presence can be obtained and must be completed at the airport on the day of arrival. For others, the form can be requested from a local police station (commissariato di zona or questura) and must be submitted to the police within eight business days of arrival. Keep a copy of the receipt issued by the Italian authorities. Be forewarned that failure to submit a Declaration of Presence within eight days will result in expulsion from Italy. Students can apply to an accredited school while attending a university program in their home country. You need to present proof that you are attending a university program at home and that the course you will be taking in Italy is something that is unavailable in your local school. Once all the legal paperwork is settled, you can fully enjoy the Italian way of life. Italy's climate, though extreme at times, is still one of the best in Europe. In winter, the Italian Alps are likely to be cold; Milan is damp and often fog-bound as well as the Po Valley; the Italian Riviera, the Amalfi coast, and the islands of Sicily and Sardinia are best for weather conditions. While traveling to these cities, make a mental note that Italy occasionally experiences mild earthquakes. Public education is good in Italy and children are commonly the top priority for families. The city of Rome is the capital, but expatriate communities can be found all across the country in cities such as Turin, Palermo, Naples, Bologna, Florence, Bari, Catania, and Venice or even in the countryside. Italy is situated on the Italian Cape and Southern Europe just alongside the Mediterranean Sea. It has been a long-time favourite destination for expats from all over the world because it’s beautiful geography where you will find the Apennine Mountains on the peninsula and the famous Alps on the northern boundary. Once you walk its streets, you will feel the strong mixture of European and Roman influences in their breathtaking Renaissance inspired architecture. The communities are lovely, and the locals are known worldwide to be very friendly, making Italy such a welcoming place for newcomers like you. Here are some important guidelines that can help you to start a new life in the boot-shaped country. First things first, you have to get a place to live in. There are several ways that you can do when looking for a rental house/ apartment in Italy. You can start looking for listings on local newspapers (piccolapubblicità – affittasiappartamento) or bulletin boards posted on public establishments. Landlords also put up ‘for rent’ (affittasi or da affitare) signs outside their properties so it's worth going around the city. One of the easiest ways is to talk to a local realtor (agenzieimmobiliari) who is more familiar with the neighbourhoods and has a wider network of real estate properties. Always ask your landlord about what is included in your monthly rent. For most countries abroad, you need to shoulder the expenses for your essential services like gas, water and electricity. In the main cities of Italy, the average cost of your utilities will be €150 per month. Local prepaid mobile calls are charged €0.16 per minute and a month of internet connection is about €25. You will find several housing models across Italy depending on your needs. There are studio types (bedsitter), apartments and houses. If you are looking for a short-term rental, you should expect that the unit is unfurnished (non-ammobiliato) and doesn’t include anything at all aside from the bathroom and a kitchen sink. Most furnished (ammobiliato) apartments/houses are available for those who prefer long-term agreement. As you move closer to the city, the price of the rent goes higher. In Rome, the capital of Italy and where most expats live, the average monthly rent for a one bedroom apartment is €1000 while a three bedroom unit is around €2000. 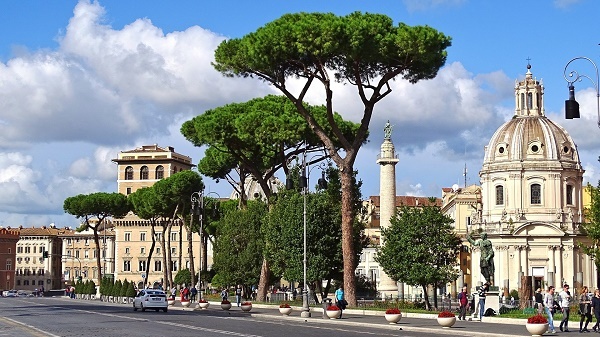 Rome is also the home of many restaurants, shopping malls and the country's nightlife. Choosing a place based on beautiful landscapes and scenic views is not a problem in Italy because all parts of the country are equally beautiful. Another central city where you will find a huge number of expats is in Milan. It has good public transport, job opportunities, malls, supermarkets and restaurants. You can get a one bedroom apartment in Milan for €900 per month and a three bedroom apartment for roughly €2000 monthly. For more ideas about Italy’s neighbourhoods, you can click here. The Italian government provides free education to all levels starting Pre-school to University. This privilege applies to both local and foreign children. Most expats enrol their kids to local schools like The University of Milan that’s been providing high-standard of education since 1924. You can also enrol your child in Italy’s international schools where the curriculum and teaching methods are mostly designed for foreign nationals. One of the most prominent international institutions in the country is the Rome International School. Though the rental cost is a bit high, other products in Italy are considered to be affordable. But it's better to bring some of your belongings especially the useful ones to make sure that you don’t fall out of the budget. Many shipping and removal companies can help you bring your stuff to Italy and will help you every step of the way. Prices differ based on factors like the quantity and weight of the package. The average delivery time to the Port of Civitavecchia in Rome, where a majority of containers arrive, is 7-9 business days depending on your country of origin. If you are taking your pet with you, make sure that you have the original copy of its Rabies Vaccination and Certificate issued by a licensed veterinarian. Italian customs will also ask for the International Health Certificate, so ask your vet to give you one ten days before your planned departure. Moving abroad takes a lot of commitment and courage, but you will find Italy as a country that's overflowing with ways that are sure to comfort your heart and keep you going. Italy, another birthplace of the Western culture is considered as one of the most successful and enthralling nations in Europe. Aside from being a world-wild influence when it comes to food, fashion and politics, The Boot is also famed for its beautiful coastlines, diverse culture, Renaissance masterpieces, and luxury sports cars. The idea of living in Italy might sound appealing to many expats, but it is not easy as many things are needed to be learned about the Italian culture, the people and the formalities that are unique to the country. Among the many popular countries in Europe, Italy made its mark on the map because of its breathtaking sceneries, friendly and romantic people as well as cultural and architectural heritage beyond compare. The Boot is also ranked as the 13th best country in the world whereas its 59.8 million inhabitants enjoy quality education, pleasant climate, safe environment and progressive economy. Living in Italy is an exciting experience for every expat especially to those with kids. There are tonnes of exciting places to visit where all members of the family can have fun while learning the rich Italian history and culture. When in this country, no one should miss visiting the wide array of museums such as the Museo Archeologico dell'Alto Adige in Bolzano which displays the oldest natural human mummy in Europe and the Palazzo Vecchio in Florence where visitors are taken to a theatrical tour through secret staircases and hidden rooms while being led by historical figures. Other top attractions in Italy that will leave your children in awe are the Colosseum, the Roman Empire’s biggest stadium that holds the tales of the brave gladiators and the Leaning Tower which is one of the country’s most iconic architectures. Kids who love animals will enjoy going to Poppi Zoo Park in Casentino Valley where they can gaze at badgers, foxes, lynx, large birds of prey and brown bears. As you gradually slide to the local life in Italy, the next important thing to know is where to buy your basic needs such as food. This country has stores, vegetable and fruits vendors as well as butchers in every city but there are also several major supermarcato or supermarkets that serve as one-stop shops. The number one grocer in Italy is Conad which was established in 1962 and now has over 2,000 outlets. Other large supermarkets where expats can but both local and international products are Bennet and Carrefours which as more than 1,000 stores. Expats who want to experience Italy’s culture can also go to some of the local markets where they will find an abundance of fresh foods. Outdoor markets abound this country, and aside from being able to buy products from the Italian farmers and producers, shoppers also get the chance to buy authentic Italian foods. The most famous and largest market in Italy is the Piazza Campo del Palio which is open every Wednesday and Saturday morning. By nature, Italians are known across the world for being warm, welcoming and friendly. They are relaxed in their everyday lives and many locals can be seen sipping a cup of cappuccino while mingling with friends. Family is important above anything else, much important than their careers. Expats coming from conservative countries will also need to adjust to the Italians’ liberal lifestyle. These people are very passionate, and they are not ashamed to express their emotions even in public places. Appearance is also important and plays a significant role in the Italian culture. The way a person dress says a lot about his personality, social status and upbringing. They are known for their concept called ‘Bella Figura’ which means that dressing well is more than just putting on fancy clothes because your appearance also affects your aura, confidence and demeanour. Expats who want to give wine to an Italian should make sure it is of good quality because the locals know their wine very well. Red flowers are a no-no because they indicate secrecy. You should also avoid giving yellow flowers because they mean jealousy and never wrap gifts in purple because it means bad fortune.